When you think of Arizona, there are probably a few key cities that immediately come to mind. Of course, this sunny state offers places like Phoenix, Tempe, and Scottsdale. Bear in mind, however, that if you’re in the market for luxury real estate, some of the smaller, lesser known areas in Arizona are filled with hidden treasures that the residents like to keep all to themselves. Marana. Marana, Arizona is a lovely town not too far from Tucson with a population of less than 40,000 residents. According to City-Data.com, the median age is about 40. The nearby amenities and outstanding weather make Marana a perfect place for young professionals, established professionals, and retirement-aged residents. More than half the population (around 60%) is married, which makes this a family-friendly place to be, and with the many museums and shopping districts of Tempe just a quick drive away, children and adults have endless entertainment at their fingertips. Marana’s close proximity to Tucson also offers residents plenty of employment opportunities. Residents report an average commute to work of less than a half hour, which means they’re in a prime place to enjoy everything that city living and escape from the stresses when the day is done. The unemployment rate in Marana is less than the national average, coming in at 4.7% versus 6.3% per Sterling’s Best Places. Neighborhood Scout describes Marana as a white-collar where the overwhelming majority, 86.85%, of people are office workers, sales professionals, and service providers. Prescott. The population of Prescott is comparable to that of Marana, with just under 40,000 residents calling this beautiful area home. The median age of residents in Prescott is a bit higher than Marana, with a mid-point age reporting at 56 years old. About half of this region is populated by married couples, and about 17% of residents are divorced. Carefree. Carefree is a tiny town with a median population around retirement age. Although the population is small, with only a little over 3,000 residents calling this town home, the real estate is nothing shy of luxury. Sperling’s Best Places reports the median home price in Carefree to be nearing the $700,000 mark, which makes this location a prime place for those who are well-established. In fact, Neighborhood Scout reports that home prices in Carefree are among the most expensive in the United States. A low crime rate makes this area a great place for families to settle into, and with great support of the arts, the city’s character is decidedly unique and interesting. The majority of homes in Carefree are single-family houses, and good schools abound. It’s a quiet place that’s, well, care-free. Are you in the market for luxury real estate in Arizona? 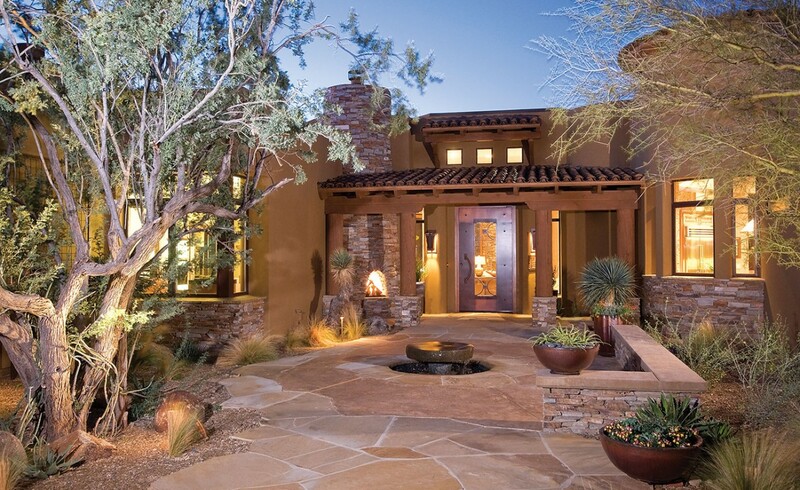 The Residences at The Ritz-Carlton, Dove Mountain is a spectacular community in Marana, AZ. Tucson is close enough to offer plenty of city amenities while the lush Sonoran Desert provides plenty of privacy. You’re invited to get in touch, and learn more about our spectacular community!